In this Python video training course, expert author and trainer Mike McMillan takes you through applying Python specifically to developing and using web services. Designed for the beginner that has some Python experience, this training video will increase your Python web programming skills. This tutorial begins with a review of the Python programming language. You will quickly go through the data types, control statements and concepts of object oriented programming with Python. After the review, you jump feet first into topics such as database programming, FTP services, web client programming, web server programming, and XML programming with Python. You conclude this software training course with a chapter in installing and using the Django framework. 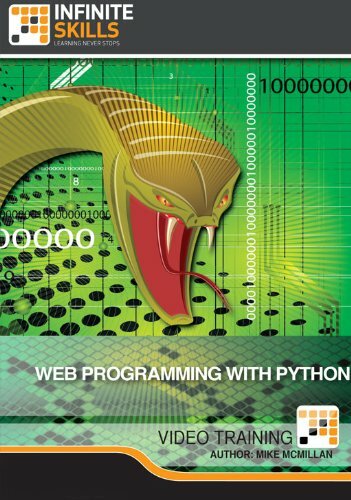 By the completion of this computer software training course for Python Web Programming, you will have an in-depth understanding of how to use Python with web services for dynamic website development. Working files are included to allow you to follow along with the training in this video tutorial.